Owing to an increase in government funding and private sector investment, Turkey’s HVACR industry is riding high on a construction boom, with an added impetus from companies which enjoy credibility, thanks to an intensified effort to improve quality and R&D. What doors are these companies looking to open next? Jerome Sanchez has the report. It was hard to miss the Turkish presence at the 2012 edition of The Big 5 Show. Billboards, roll-up banners, identification tags, lanyards and an array of brochures emphatically announced their presence at the Show. A contingent of reportedly around 180 companies showcased their products and technology from the Land of the Crescent Moon. If their show of strength was any indication, one could conclude that the companies were serious about introducing to the world who they were and what they do. 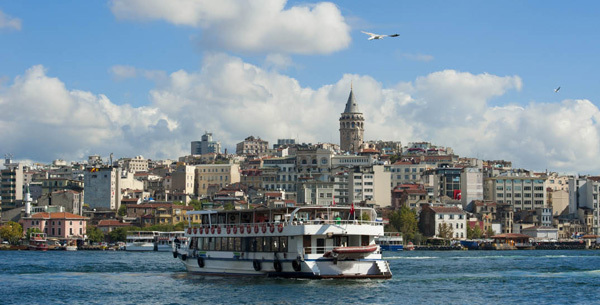 Players from Turkey’s construction industry were unanimous in their opinion that the country, particularly, its capital Istanbul, was currently experiencing a boom, thanks to increased investment from the government and the private sector. “Istanbul is under construction,” Ibrahim Dursun Akça, Area Manager for Europe and America at Flexiva Ventilation Systems, tersely stated, when asked how he would describe Turkey today. “An increase in government investment in hospitals, ministry buildings and schools has resulted in more projects we can supply to,” added Ismail Polat, Mechanical Engineer from Üntes, summing up how the current spike in the number of construction projects has positively affected the HVACR industry. 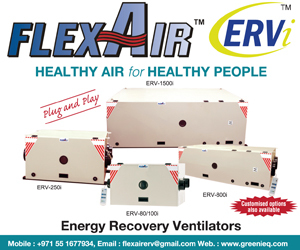 The new boom notwithstanding, companies dealing in HVACR products and services are not new players in the country, as they have been in operation since the 1950s and have been continuously and increasingly developing their production and capacity since their inception. This was revealed by a report from the Ihracatý Geliþtirme Etüd Merkezi (IGEME – Export Promotion Center of Turkey) which pointed out that the increase in production and development of the HVACR products in Turkey had largely been due to an increase in population and improvement in living standards experienced through the years. However, a point worth noting is that though Turkey is already considered a player in the industry, and was reported to be constantly growing since the 1950s, its market share is still considerably small. 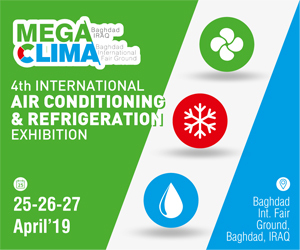 A report from the Ege Soğutma Sanayicileri ve İş Adamları Derneği (ESSIAD – Association of the Aegean Industrialists and Businessmen of Refrigeration), has declared that Turkey’s share in the global HVACR market as of 2011 was 1.5%, which was estimated to be around US$ 3.8 billion. A majority of Turkish HVACR companies is concentrated in three big cities: Istanbul, Ankara and Izmir. The report further stated that 98% of the HVACR companies in the aegean region are small- and medium-scale enterprises. HVACR companies in the country are organised under various associations. A few of these are the Beyaz Eşya Yan Sanayicileri Derneği (BEYSAD – White Goods Parts Suppliers Association of Turkey); İklimlendirme-Soğutma-Klima İmalatçıları Derneği (ISKID – Turkish Air-Conditioning and Refrigeration Manufacturers’ Association); and the Isıtma Soğutma Klima Araştırma ve Eğitim Vakfı (ISKAV – Turkish Heating/Cooling Research and Education Foundation). Turkish HVACR producers have created their own brands, which not only enjoy a domestic advantage over imported products but are also increasingly being exported to other countries. In fact, according to the ESSIAD report, the commercial HVACR market accounts for 65% of Turkish HVACR volume, and 36% of the output is actually exported from Turkey. “We export to Iraq, Dubai, Saudi Arabia, and Syria,” said Soner Algin, Export Regional Manager, Siba. “The Turkish Standard Institution (TSE), the official certification organisation in Turkey, uses international standards, like that of the European Community and ISO,” said Akça, speaking about the testing parameters Turkish companies use for their products. 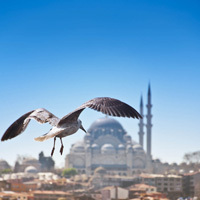 “The HVACR industry in Turkey is good; in fact, Turkey is now the centre of AHU manufacturing in Europe,” Polat revealed. 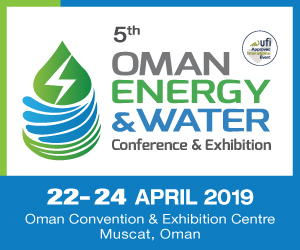 The ESSIAD report says that in addition, regional and national authorities are actively supporting the region’s industry with various initiatives, including special financial schemes for new investment, research and development incentives and marketing-related support. In fact, according to the IGEME report, companies in the sector have begun to form joint ventures with global firms, thus creating technology transfer opportunities for both Turkey and the HVACR sector. Recent acquisitions of Turkish HVACR companies by global firms confirm this trend. The contingent of Turkish HVACR companies was unanimous in its opinion that the Dubai market was slowly picking up again. Breaking through the Dubai market, according to the companies, still continued to be an advantageous strategy, especially for those looking to expand to other countries in the Middle East and Africa. As Algin put it, “We are looking to expand to Jordan, Libya, Egypt, Senegal, Ghana, Algeria and Tunisia. “Dubai is like a port for different countries, and it remains to be a strategic point for us,” Algin said. Aside from exposure and an avenue to speak with potential clients, The Big 5 Show 2012 also presented an opportunity for the Turkish companies to showcase some of their latest products and technology. “Technology is now being appreciated by the market,” Soner Algin said, as he presented the acrylic waterproof sealant his company, Siba, showcased at The Big 5 Show. “The market is no longer looking at the price so much, but good relationships still make your customers buy,” he added. Speaking about the product, he said that it had anti-bacterial property and was water-resistant. Dursun Akça, Area Manager for Europe and America at Flexiva Ventilation Systems, on his part, spoke about Artist – a patented insulated duct that features thermal and acoustic insulation. “Artist uses rubber foam or polyethylene foam as insulators, thereby being safe for your health,” he explained. “And Artist has silver ions that kill 99% of bacteria, making it suitable for hospitals, schools and laboratories.” He also pointed out that the use of glass wool as an insulator was detrimental to health, as it caused lung cancer. He revealed that silicon dioxide, a material that cannot be isolated from glass wool, was bad for health. Ali Can Göncü, Mechanical Engineer from Gonka, spoke about the modular AHUs his company was showcasing at The Big 5. He claimed that they could be dismantled on site and could be re-assembled without sustaining any damage. “These features will be very useful in renovation projects and in maintaining transportation costs low,” he claimed. Can you sum up the reasons why your company found it strategic to amplify its operations in Turkey by acquiring HSK? Systemair has a policy of acquiring profitable companies. Another reason for acquiring HSK is that we are looking to acquire quality products at a reasonable production cost. Systemair is strategically located to serve Balkan countries, Middle East and Central Asia, and Turkey in itself is a big market. HSK is an established company for AHUs that complements the existing strong fan sales in the region. What advantages does having a strong presence in Turkey give your company? One advantage is Turkey’s strategic location for supply to MENA and European region. 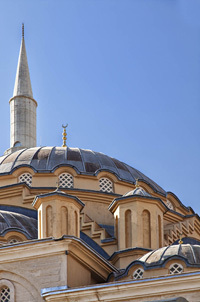 Turkey is a growth market and Turkish contractors are very active in the region.